Please ask if you have questions about our fees, Financial Policy, or your financial responsibility. 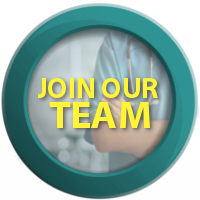 If you have any further questions, we hope that you will not hesitate to visit with a member of our Billing Team. Available from 8:00am-5:00pm Monday – Friday. Palouse Medical is committed to providing the highest level of quality medical care and personal service to our patients. We are willing to discuss our professional fees at ANY time. Many of our patients have questions regarding insurance responsibility. Your clear understanding of our financial policies is important to our relationship. We have created this financial policy with the hope that it will help answer questions you may have about our financial policy and billing protocols. For your convenience, Palouse Medical participates with most major insurance companies and Medicare. Since we see patients from many different insurance plans, it is impossible for us to know all the covered benefits. Knowing your individual insurance policy and who your Primary Care Provider (PCP) is your responsibility. Please contact your insurance company with any questions regarding your coverage. Charges for laboratory test done by Palouse Medical will be included on your statement. Laboratory tests which are NOT performed by Palouse Medical will be billed separately by the servicing facility or provider. For your convenience, we gladly accept payment in the form of cash, check, Visa or MasterCard credit cards. Please note that there will be a $25.00 charge for checks that are returned due to non-sufficient funds. 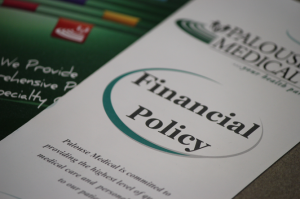 Our Billing Team at Palouse Medical is here to assist you with your financial needs. We do offer payment plans for patients who are unable to pay their balance in full. We offer a policy that awards 90 days to pay the balance due without finance service fees. Payment is required on your account each month in order for your account to stay in good standing. Once a payment plan is in place, you must make all payments on time in the correct amount, beginning with the payment plan start date. Paying more than one month does not lower the next month’s payment amount due. You can pay more than the monthly amount due or pay your bill in full at any time. There is NO penalty for prepayment. Click on the link above to download or view this policy. SUMMARY: Palouse Medical has adopted a NO-SHOW policy effective August 1st, 2015. This policy states that they will now charge patients $24 for each missed “No-Show” appointment. This policy applies to new and established patients and will be charged directly to the patient/guarantor, NOT to the patient’s insurance. All No-Show fees MUST be paid prior to the next appointment in order to be seen. Palouse Medical reserves the right to terminate the doctor-patient relationship of established patients due to no-shows. New patients who no-show for their appointment will NO longer be able to schedule with our providers and WILL be billed the No-Show fee. New patients will be allowed to be seen in ReadyCare, but ONLY after the No-Show fee has been paid. We perform a follow-up on patient bills by sending a series (up to 3) of collection notification letters to patients, requesting payment of the past due amount. If the patient has not made a payment or contacted us to set up a payment plan within three months from the date of service, the patient account will be sent to an outside collection agency. 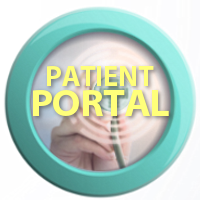 Once the account is sent to collections, the patient will not be able to schedule an appointment with their provider until that balance is paid in full. toll free at: 1-(800) 421-8470. It is the policy of Palouse Medical to provide essential services regardless of the patient’s ability to pay. Discounts are offered based upon family income and size and Palouse Medical will not discriminate on the basis of age, gender, race, sexual orientation, religion, disability, or national origin. Application packets can be requested at the front desk or by visiting with the billing office. In order to determine eligibility, the patient/responsible party must complete the Sliding Fee Discount Program application in its entirety. Patients have two weeks to submit the application with supporting documentation without having the date on the application adjusted. By signing the Sliding Fee Discount Program application, persons authorize Palouse Medical access in confirming income as disclosed on the application form. Providing false information on a Sliding Fee Discount Program application will result in all Sliding Fee Discount Program discounts being revoked and the full balance of the account(s) restored and payable immediately. If approved, the discount will apply to all services received at this clinic, but not those services which are purchased from outside, including reference laboratory testing, drugs, x-ray interpretation by a consulting radiologist, and other such services. The Sliding Fee Discount Program determination will be provided to the applicant(s) in writing, and will include the percentage of Sliding Fee Discount Program write off, or, if applicable, the reason for denial. If the application is approved for less than a 100% discount or denied, the patient and/or responsible party must immediately establish payment arrangements with Palouse Medical. Sliding Fee Discount Program applications cover outstanding patient balances for six months prior to application date and any balances incurred within 6 months after the approved date, unless their financial situation changes significantly. The applicant has the option to reapply after 6 months have expired or anytime there has been a significant change in family income. When the applicant reapplies, the look back period will be the lesser of six months or the expiration of their last Sliding Fee Discount Program application. Please call our billing office at 509.332.1229 or inquire at the front desk if you have questions. Please ask if you have questions about our fees, Financial Policy, or your financial responsibility. If you have any further questions, we hope that you will not hesitate to visit with a member of our Billing Team.